The swede sown earlier in modules have been ready for planting out for a few weeks now, but like everything else in the garden, planting out is behind – this time without the excuse of bad weather. June is, however, a good time to be planting out these small, but sturdy, young plants. They all had a decent root ball, although another week or two in the modules and they would have been quite potbound. Swede are often sown direct in May or June, as, in common with root crops such as carrots, beetroot, and parsnip, they do not like to have their roots disturbed. However, I have had better results sowing these first in modules. Thirty six were planted out in one of the main beds reserved for brassicas in this rotation, 4 per row, spaced at about 25cm each way. A handful of spares will be kept for a couple of weeks, just in case any of those planted out today fail for some reason. The variety I chose this year was Ruby. Although most of the varieties I grow are open pollinated old fashioned sorts, Ruby is a modern F1 hybrid – a variety noted for its sweetness. As I am not overly fond of swede, and grow it mostly for the traditional Finnish Christmas dish ‘lanttulaatikko’ that CT and the rest of the family enjoys, I thought a more sweet variety might encourage me to cook with what ought to be a very useful and hardy winter vegetable. 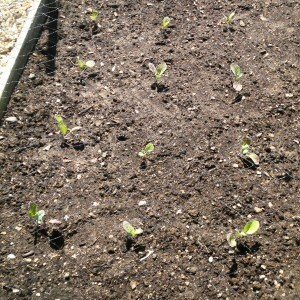 Along with the swede, a few Golden Acre cabbages and kohlrabi were planted out. I had little success with the kohlrabi when sowed direct last year, so have sown in modules this year for planting out when a little more sturdy and at suitable spacings. Turnips, on the other hand, do very well from a direct sowing, in my experience. Depending on how thickly they are sown, and the size one is looking for, they need little thinning. I prefer them young, a little larger than golf ball size; much larger, and they can become woody and unpleasant. As I had just a foot of bed left, I took out a single drill with the draw hoe, sowed some seed along the bottom, raked it level, and gave the whole bed a good watering. I took the opportunity to check on a few other brassicas that were sown some weeks ago in modules: kales Scarlet and Dwarf Green Curled, and Brussels sprout Evesham. They really needed planting out, but as I will not get around to them for a while yet, I quickly potted them on into some richer soil. Although it would be better to get them in the ground, this will keep them happy for a couple of weeks and is much better than allowing them to become completely pot bound. 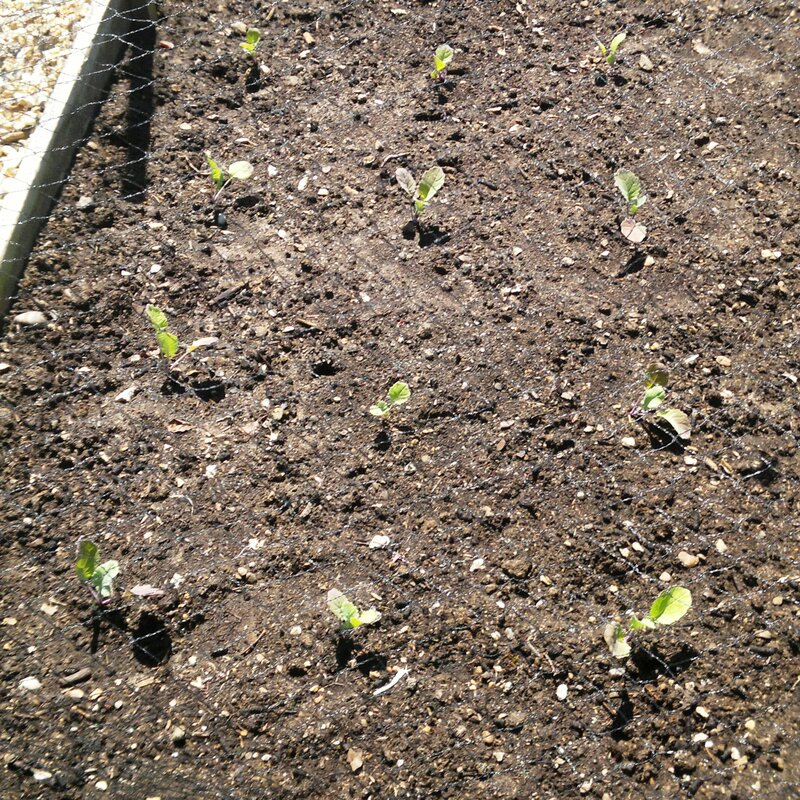 This entry was posted in Garden diary and tagged brassicas, cabbages, kohlrabi, swede, turnips on June 4, 2013 by JV.